I’ve always had a “thing” for leopard. For me, it goes with everything and is timeless. I’ve been on a mission at Roadkill Ranch & Boutique this season to get MORE of the print. I’ve been searching fabric houses and begging my vendors to buy MORE yardage so they can make me MORE cute skirts and dresses. 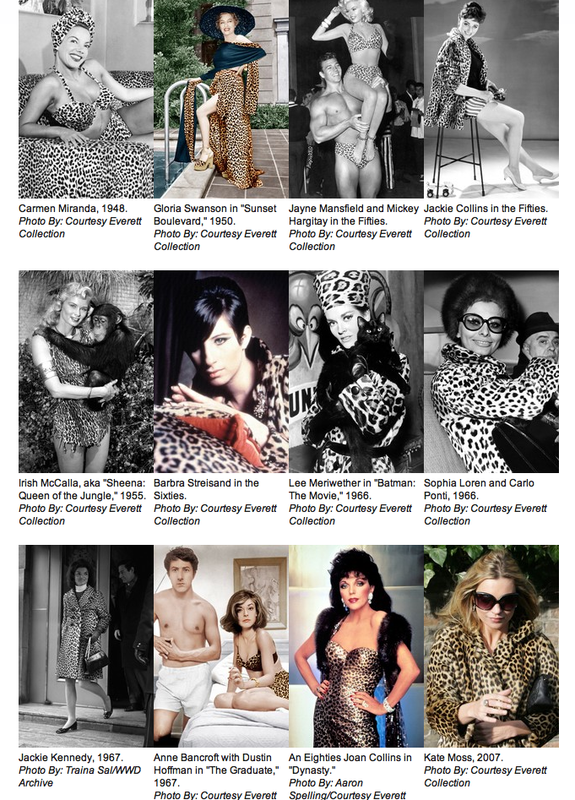 And this picture of the historical, leopard-print timeline is a great validation to my plea. So, look for MORE leopard and don’t ever get rid of your vintage pieces. Thank you Everett Collection for the collage photos.